L.M. Montgomery’s ANNE OF GREEN GABLES. I’ve always wanted to read it and for some reason never have. It doesn’t make sense, especially considering how much I adored the 1980s TV adaptation. 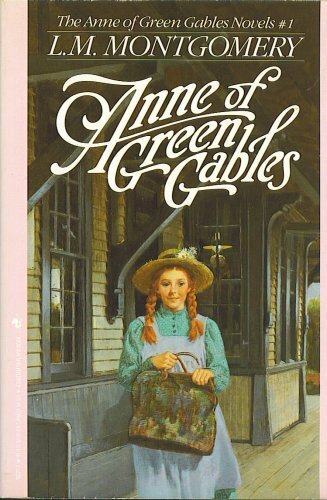 Maybe it’s my affection for spunky, red-headed orphaned girls named some variation of Anne, but I love a good underdog story and this one fits the bill. I’m definitely pushing it to the top of my to-read list. What books have you been meaning to read? The list of books that I’ve been meaning to read is soooo huge. 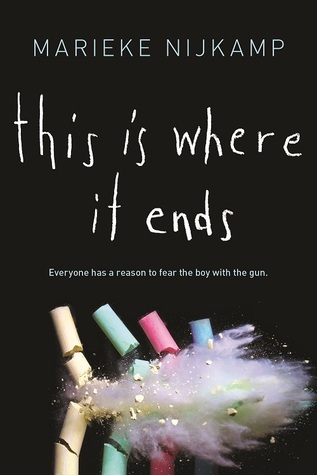 But the first that come to mind at The End Games by T. Michael Martin, Eleanor & Park, the Forest of Hands & Teeth trilogy by Carrie Ryan, 17 & Gone by Nova Ren Suma, The Maze Runner, the Book Thief … yeah, the list goes on and on. I’m so broke right now I can’t afford new books. But I have a ton of holds at the library. I’m hoping to get 17 & Gone this weekend. I owned that book for years as a kid and never read it. I’m not sure why, it just never quite appealed to me. SENSE AND SENSIBILITY is one of mine. I read P&P recently and have been waiting for the right moment to dive into it. I read that one and was all “meh” about it. I didn’t get its appeal until after I saw the film version directed by Ang Lee. A thing of beauty! Here’s my thoughts about classic books: They are like the guy friend who wants to be “more than friends” and you’ve thought about it, but there’s something about him— oh yes, he’s attainable. Human nature compels us to chase after the unattainable, like our dreams and the guy who doesn’t give a ! @#$ and doesn’t even know we exist. We don’t want what we can have. Plus, nobody talks about the classics; it’s all about the latest best seller. THE COUNT OF MONTE CHRISTO is mine. I love the plot and storyline, but am always picking another book to read instead. Ha! That is SO true. Classics are not the bad-boys of the book world. Hmm, I hate to admit that I never finished reading Wuthering Heights. I read the first two-thirds twice though. LOL And I saw the movie. Wuthering Heights is a tough read. It took me three tries before I could sit down and finish it. I hate to say this, but I’ve watched two different adaptions for screen and one for television and they’re all better the book. Wow, that was hard to admit… I normally side with the books. What is it about that book? I haven’t read it either. Catch 22. Like you I have no idea why. I just haven’t. So many books, and not even close to enough time. I’d be REALLY surprised if my to-read pile ever gets below 100 books. There’s always something new to read!